Send orders to third-party fulfillment services like Shipwire or Amazon FBA. Split orders and automate drop-shipping. 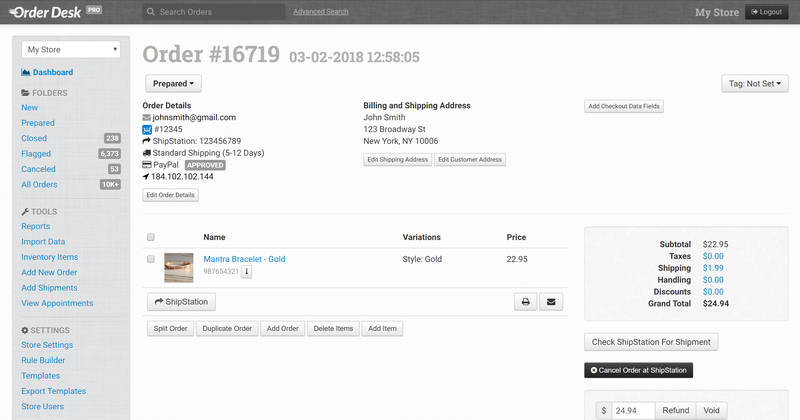 Build custom, automated CSV exports with all your order data. Sort your orders into folders to keep track of the status of each order. See your order overview at a glance. Create custom folders to match your business' workflow. Customize each folder's columns to see the details you need. Need to change a shipping address? Print a customizable packing slip? Hold an order for review? Order Desk makes this easy. Send a special email to someone ordering from Canada or someone ordering a "Red Wool Scarf"
View your order statistics at a glance. 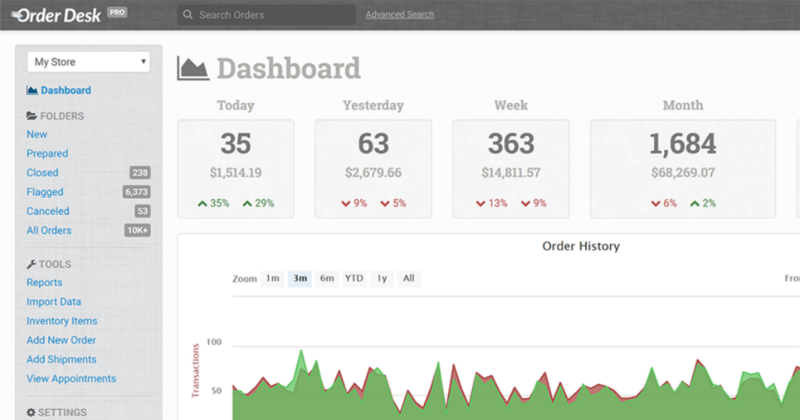 The Order Desk dashboard shows order counts and revenue from today, yesterday, last week, last month, and all time. Create a customized CSV format and you can export your own reports whenever you need them. We use orderdesk for order fulfilment with multiple retail venues processing real-time orders for our takeaway meal delivery service. Orders automatically load on the configurable orderdesk screens with various rules/actions applied to ensure efficient and timely fulfilment, e.g. orders are shaded red when there are less than 10 minutes left before collection is due. And the store management settings mean we can let retail staff see the orders without giving them access to back-end admin or sensitive customer information. Order Desk connects to your third-party apps. 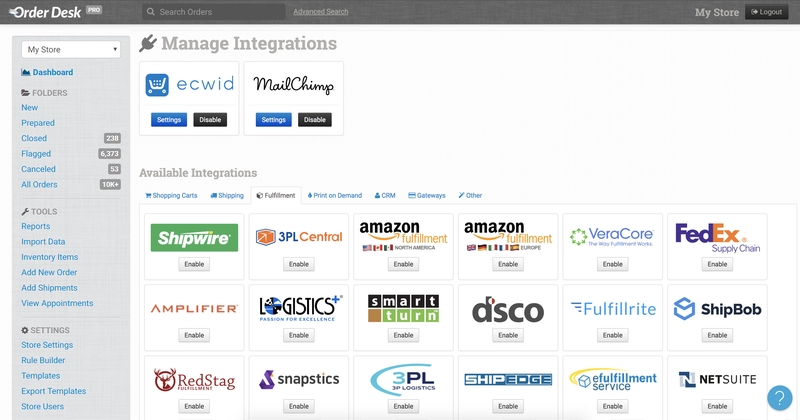 We have integrations for over 30 services like MailChimp, Authorize.net, Amazon, Shipwire, and 3PL Central. Add your customers to your mailing list, send your orders for fulfillment, or send your shipment information to external shipping software like ShipStation or ShipWorks. You can even print your own shipping labels with our EasyPost integration.